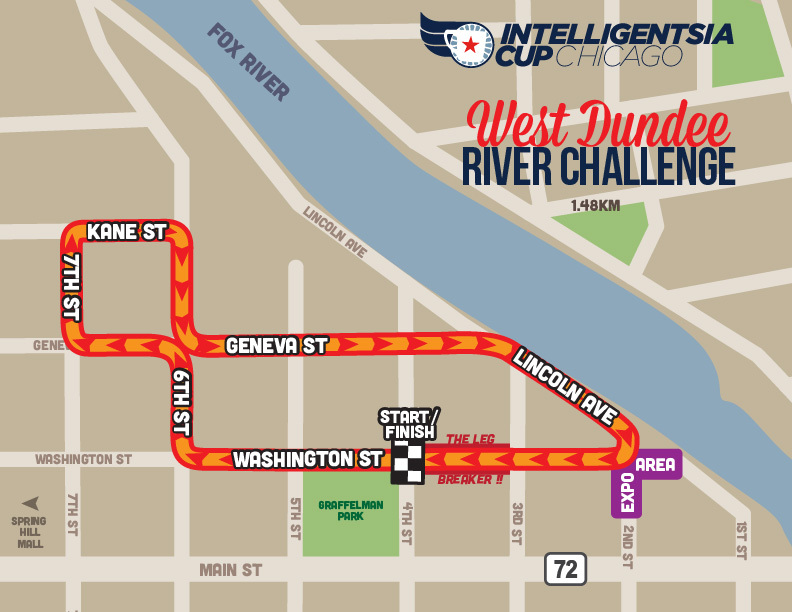 The ‘leg breaker’ finish of the West Dundee River Challenge returns for a third year! With a population of 7,331, West Dundee has managed to keep its quaintness and small-town feeling intact. Designated historical sites fill the downtown and surrounding residential neighborhood. Restored buildings include structures reported to have provided refuge for slaves on the Underground Railroad. As part of the upper Fox River Valley in northern Illinois, West Dundee enjoys one of the region’s most unique and treasured assets, the Fox River greenway. The Fox River serves as the Village’s eastern border and is quickly becoming one of the community’s finest recreational areas. GPS Directions This is a neighborhood course. Please respect posted resident-only parking signs.